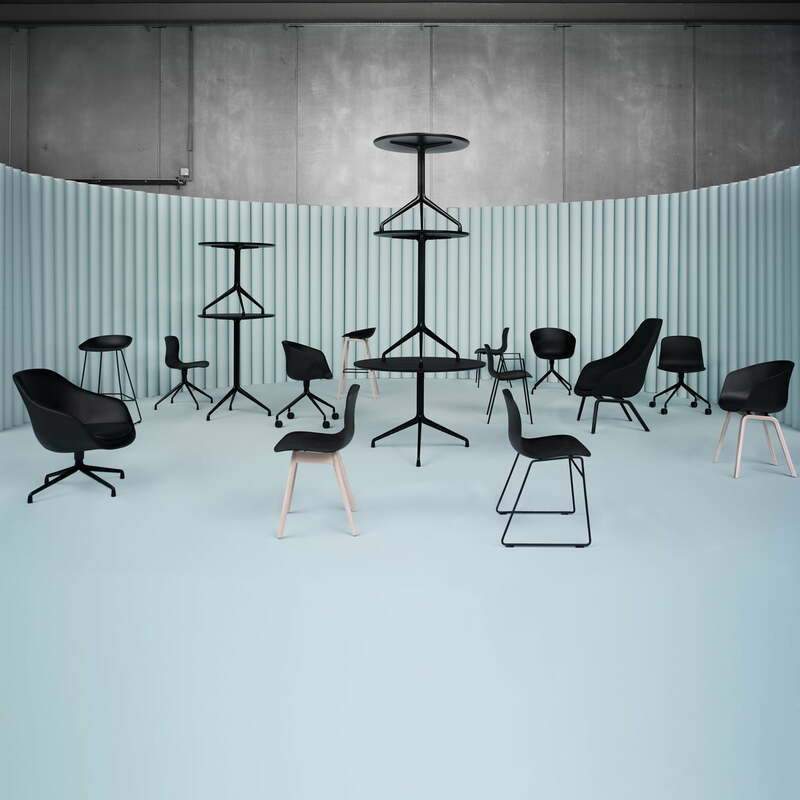 About a Chair by Hay is a collection of chairs with bribing simplicity regarding design. The designer Hee Welling reached a new level in the combination of shape, function, comfort, details and aesthetics with his collection. The AAL 91 enlarges the series with one low lounge chair which perfectly suits the philosophy of the resting furniture pieces. 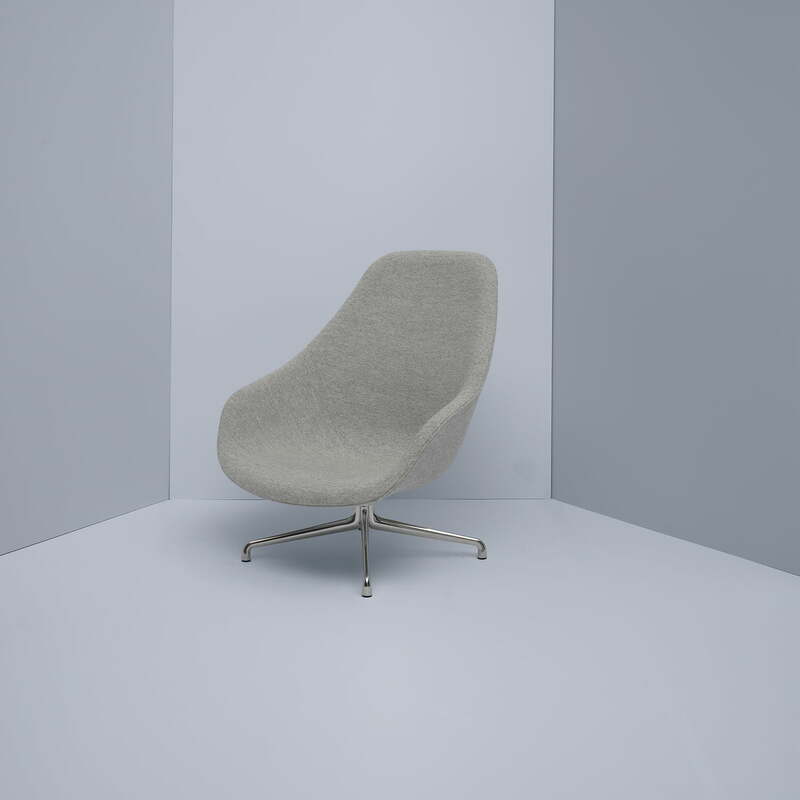 The About A Lounge Chair AAL 91 is slightly upholstered with foam according to the Eco-Tex-Standard and it has armrests, a high backrest and a swivel four-foot base. 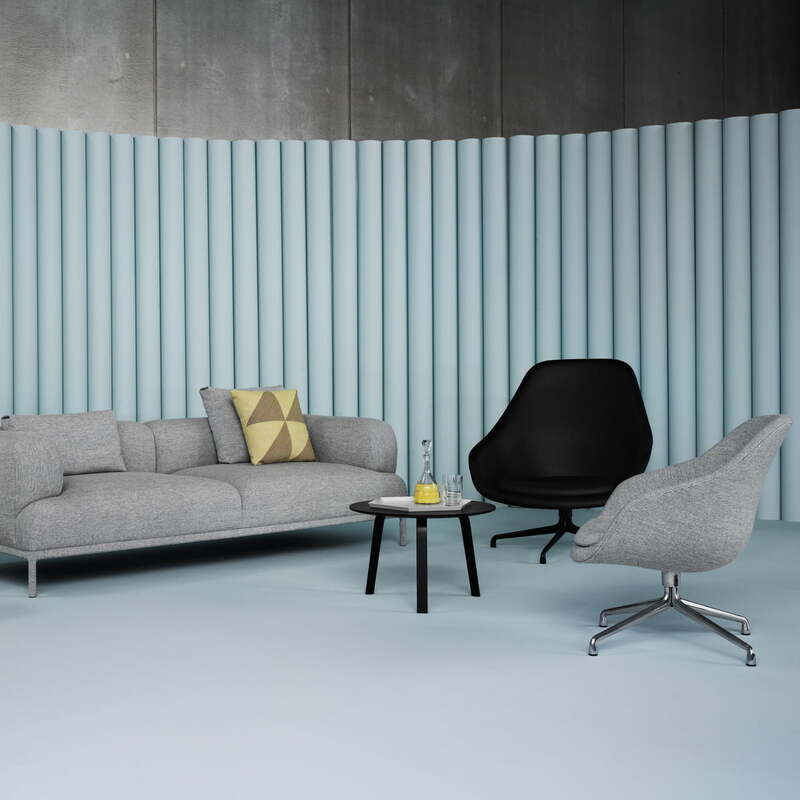 Different Kvadrat fabrics are selectable as upholstery, available in different colours. The seat of the Hay AAL 91 consists of polyurethane, the frame of polished or powder coated aluminium. 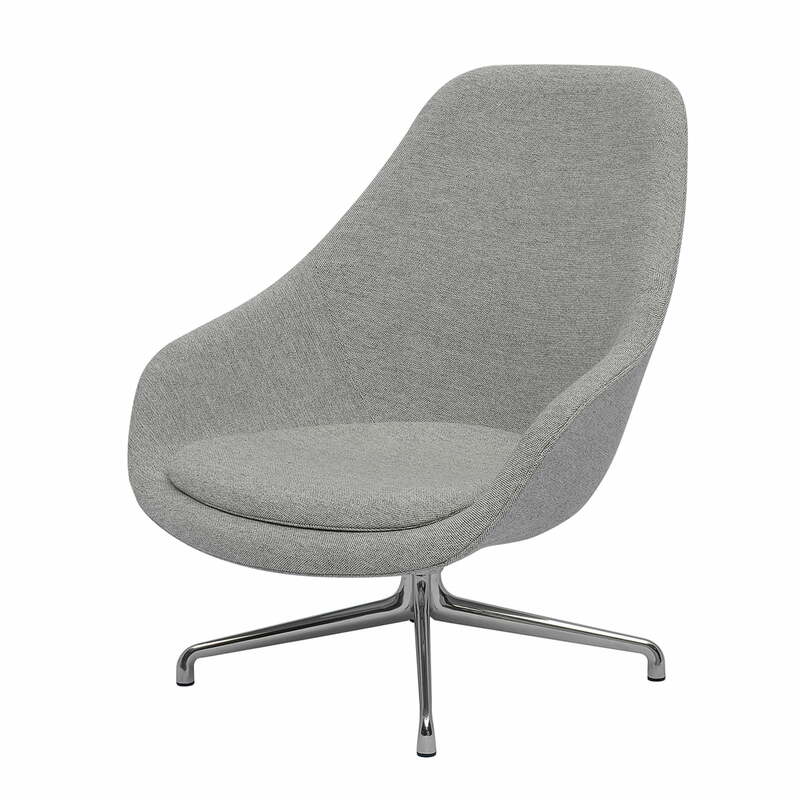 Moreover the About a Lounge Chair by Hay is also available with other coatings and bases, such as the AAL 92 with wooden base or the AAL 81 with a low backrest. 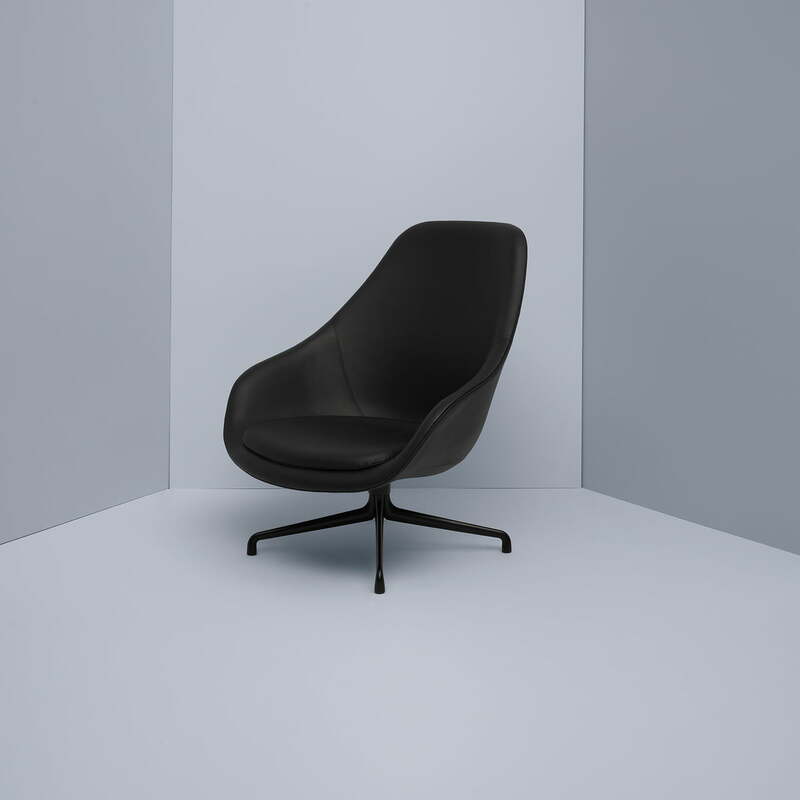 The seats and bases of the AAL series make up numerous combinations, which never seem unwanted or combined by mistake. We will gladly advise you for personal configurations.